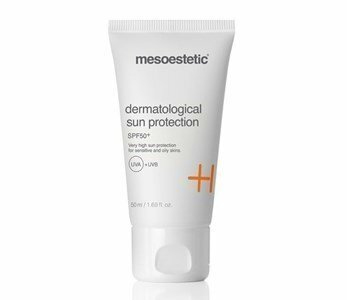 Dermatological Sun Protection spf50+ combines an high protection effect with a great moisturizing and antioxidant action. Ideal to complement any temporary dehydration treatment of skins that needs moisturizing lipid-free products, due to its secretion or hypersensitivity characteristics. 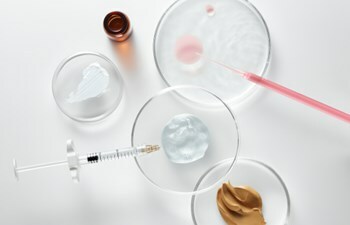 Mesoestetic offers numerous sthetic treatments that momentarily raise the skin sensitivity (dermoabrasions, peelings, etc.) wich makes extremely necessary, the protection against aggressions and potential injuries created by sun exposure and the UVA and UVB radiation. In prolonged exposures to sunlight, it is recommended the renewal of product application every 2-3 hours. Avoid sun exposure between the 12pm and 4pm.